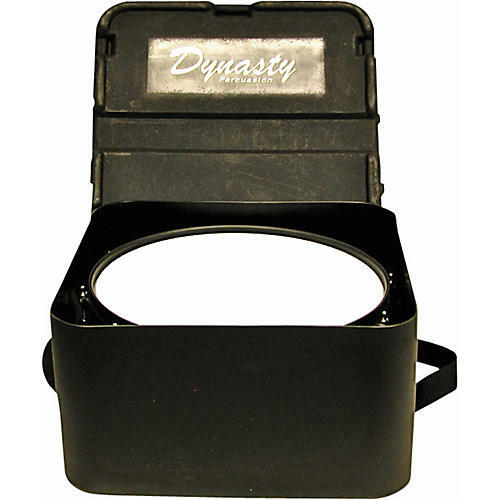 Dynasty logo marching drum cases are made of black roto-molded polyethylene plastic. They are tough on the field, under the bus or even take them on the airplane. This snare drum case is designed for the shorter Wedge snare drum and can also accommodate concert.